This estate winery has deep country roots: their founders were share-croppers, then landowners and finally wine-makers. 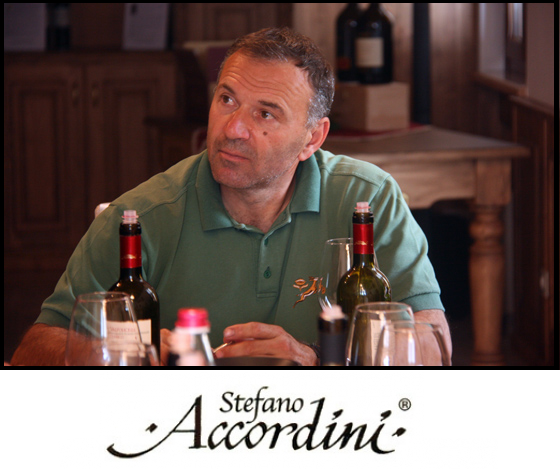 Led by Stefano, helped by his wife Giuseppina and his two sons, Tiziano and Daniele, this company has a long tradition of wine making. Today Tiziano directs the marketing and manages the winery, while Daniele is concerned with oenology. The family estate extends over 4 hectares situated in Negrar, the heart of Valpolicella, in a place called Bessole. These vineyards are a precious source of great satisfaction thanks to their southern-east exposure and their soil, which is well balanced in its components. A good choice of three different varieties of grapes, Corvine, Rondinelle and Corvinone, grafted by Stefano and taken from grapes of high quality, guarantees every year the production of ripe grapes well suited to be withered. In the new estate among the hills of Fumane a new vineyard of about 6 hectares is being planted. The traditional techniques, such as Ripasso, are employed to produce a wine of a very high level, the Valpolicella Classico Superiore. The Winery is located in the heart of classic Valpolicella, in Pedemonte, S.Pietro Incariano; it isn’t a big winery, however it is equipped with the most up to date technology, both the new winery department in stainless steel and the refining in small barrels. Great attention is given to the grape withering, a technique which enables the production of the most important wines of the Accordini family such as Amarone, Fornetto, Fornetto Acinato, Recioto Acinato, the white “Bricco delle Bessole” and the innovative IGT Passo. Great care is also given to the bottle refining: this process is considered of paramount importance in order to guarantee the right balance in the wine evolution. The Accordini family is also well-known for its friendliness: their winery is equipped with a cosy and well-furnished “taverna”, where visitors are always welcomed and have the possibility to taste their wines properly. Amarone d. Valp. Class., "Il Fornetto"
Amarone della Valp. Class., "Acinatico"
Recioto della Valp. Class., "Acinatico"
Valp. Class. Sup. Ripasso, "Acinatico"